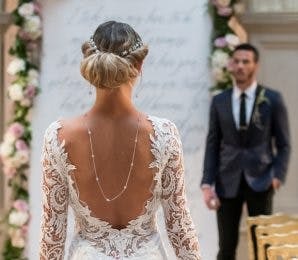 Few wedding venues are so breathtakingly elegant as stately homes, manors, or estates, and with one of these grand stately home wedding venues as the setting to your big day you’ll feel like you’ve been dropped into your very own period novel. So read on and be inspired by these gorgeous venues—they look like something pulled straight out of Pride and Prejudice! But if you’re looking for something that’s perhaps even more impressive for your wedding day, see our list of some of the most stunning castle wedding venues in the UK. Tracy Park Hotel and Estate is a historic wedding venue in Wick, close to Bristol and the famous Roman city of Bath, and its centrepiece is the 16th century Jacobean manor house surrounded by 240 acres of mature parkland (as well as two Championship Golf Courses, The Crown and The Cromwell). 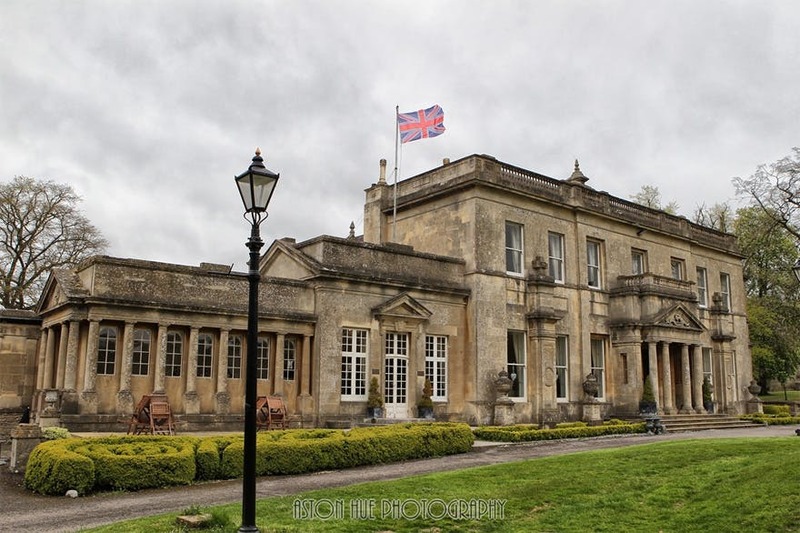 Tracy Park offers 4* luxury accommodation and features “high ceilings, grand windows, and sumptuous fabrics” that make it a stunning backdrop to your wedding day, and it can host up to 130 people for a civil ceremony and wedding breakfast and up to 200 guests for the evening function. Furthermore, Tracy Park is home to the iconic stables that famously inspired author Anna Sewell (who was a frequent visitor of the park) for her book, Black Beauty. Tatton Park in Cheshire, set in 1,000 acres of open parkland complete with wild deer and 50 acres of famous gardens that date back to the 18th century, is home to a neo-classical mansion, a Medieval Old Hall, and a working rare breeds farm. There are a choice of lovely function rooms that are beautiful settings for events big or small: the Entrance Hall, complete with antique furniture and an art collection, that’s ideal for up to 80 guests; Lord Egerton’s Apartment for small wedding breakfasts of up to 40 people or informal buffets of up to 80 people; and Tenants’ Hall for larger events of up to 350 people. 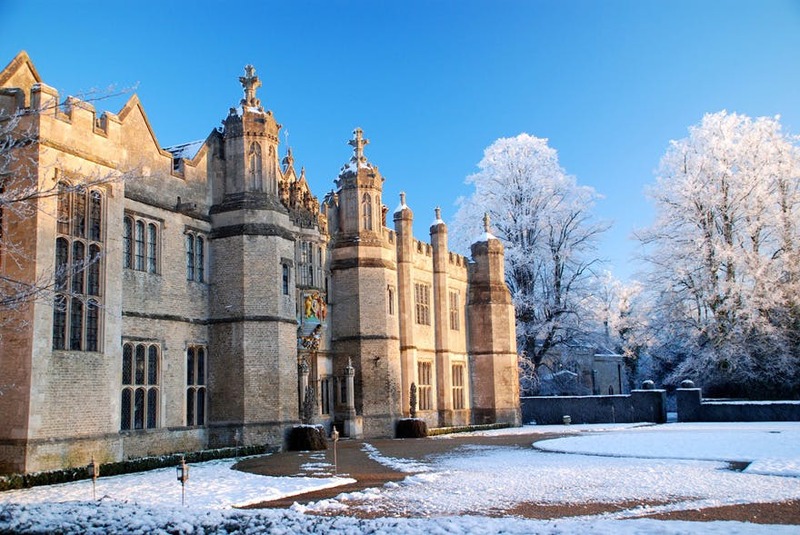 Ashridge House is a historic, Grade I listed country house in Hertfordshire with over 700 years of history to its name (including ties to Henry VIII and his daughter Elizabeth I). 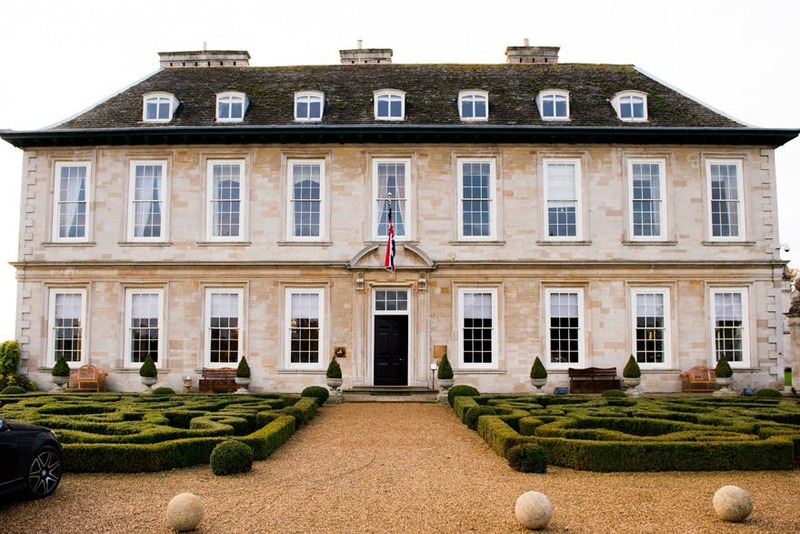 It boasts almost 200 acres of landscaped gardens as well as “marble fireplaces and gold leaf ceilings” for an exquisitely beautiful setting for your wedding day. 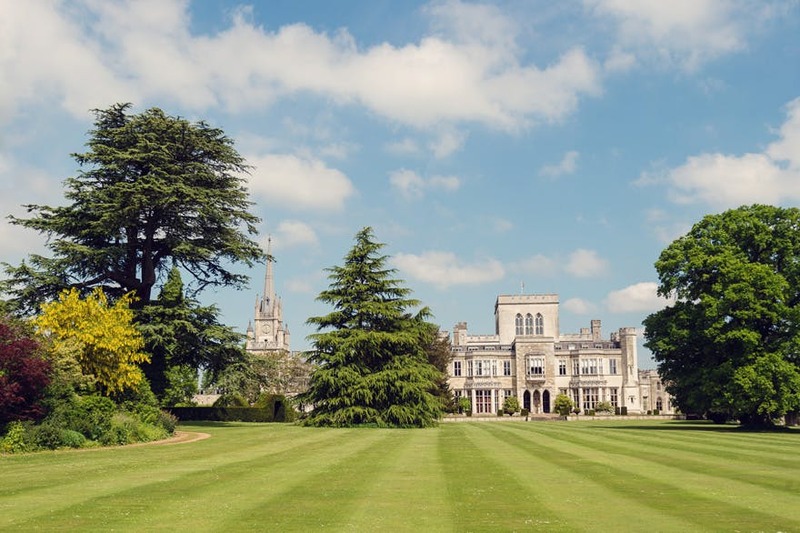 Furthermore, Ashridge House can host up to 190 guests for a sit-down formal dinner and 400 for an informal reception, and it includes 190 ensuite bathrooms as well as leisure facilities. Stapleford Park Country House Hotel and Sporting Estate in Leicestershire is a magnificent, prestigious 17th century Georgian house with gardens and grounds famously designed by Capability Brown. The house features 55 individually designed rooms, each one reflecting the style of their creators (“famous names such as Mulberry, David Hicks and Crabtree and Evelyn have contributed to the hotel’s distinctive style”) and weddings are some of the finest affairs. The Orangery, which opens out onto the gardens, is suitable for up to 150 guests and the Grand Hall can cater for up to 180. 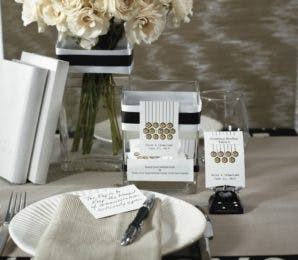 Smaller weddings can be held in the more intimate rooms of the house. 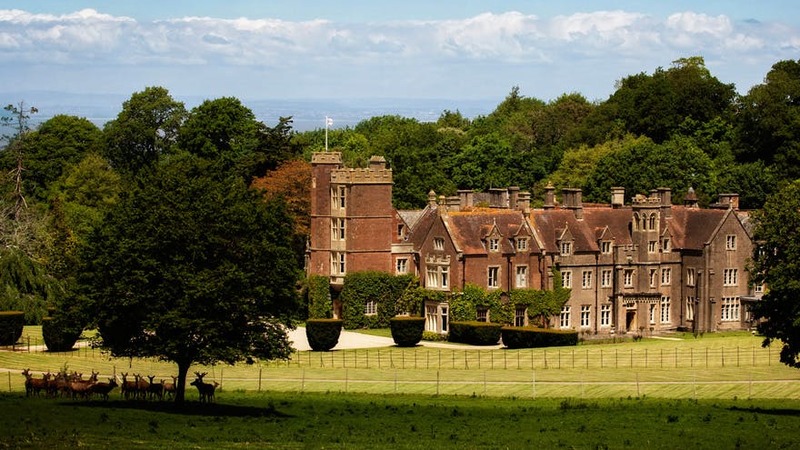 St Audries Park is a beautiful wedding venue in Somerset and one of the most popular venues in the UK. At the end of a winding driveway, it sits in 100 acres of deer park and is very close to the sea, offering beautiful views of the coast and panoramic views of the Quantock Hills and the Bristol Channel. The Great Hall offers “Harry Potter-style charm” with its “huge roaring fire, wood-panelled walls and minstrels’ gallery” and acts as an entrance hall for your guests while the Banqueting Hall, with large windows overlooking the rose garden and the grazing deer, holds up to 130 guests for a gorgeous reception. 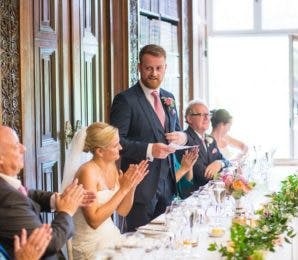 Furthermore, St Audries Park is home to the Victorian Orangery—a house of glass with a golden aisle carpet—that’s perfect for your wedding ceremony, and St Etheldreda’s Church for religious ceremonies. 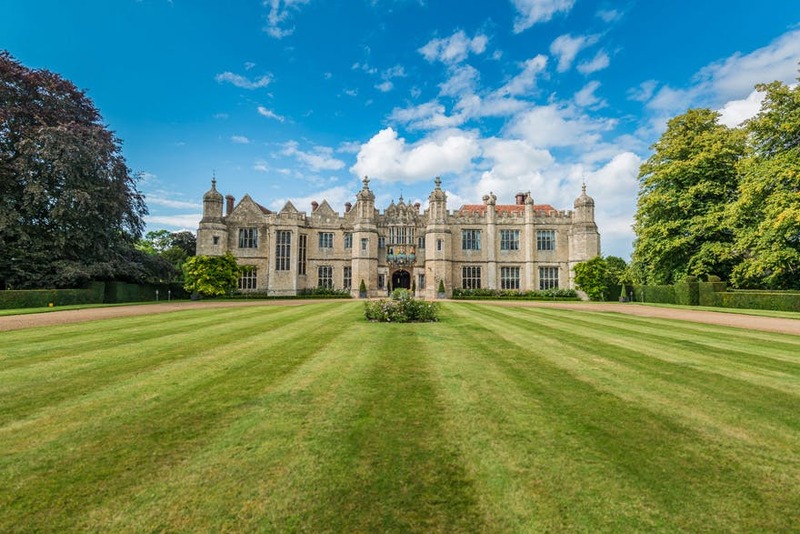 Hengrave Hall is a historic Tudor mansion wedding venue in Suffolk that’s home to 35 splendid rooms, a retiring room, a playroom, its own church, a courtyard, a West Terrace, green meadows, and beautiful gardens (planted with over 1,000 David Austin roses). The Long Gallery with its lovely white timber panelling and crystal chandeliers can host up to 140 people for a wedding breakfast while the equally stunning Dining Room, Library and Banqueting Hall (complete with black and white dance floor) can accommodate smaller wedding parties. Furthermore, the bar is positioned in such a way that it allows guests to “experience the different rooms as if it is one continuous space”. 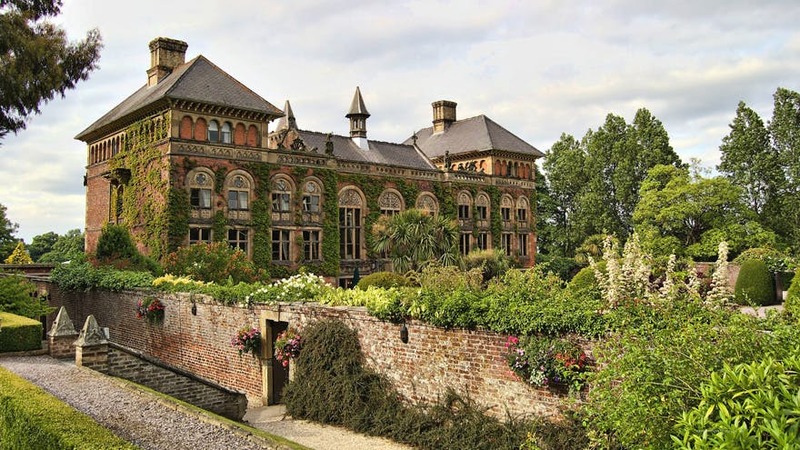 Swinton Park is a romantic, luxury wedding venue in Ripon, North Yorkshire, surrounded by 200 acres of parkland in the secluded Yorkshire Dales. 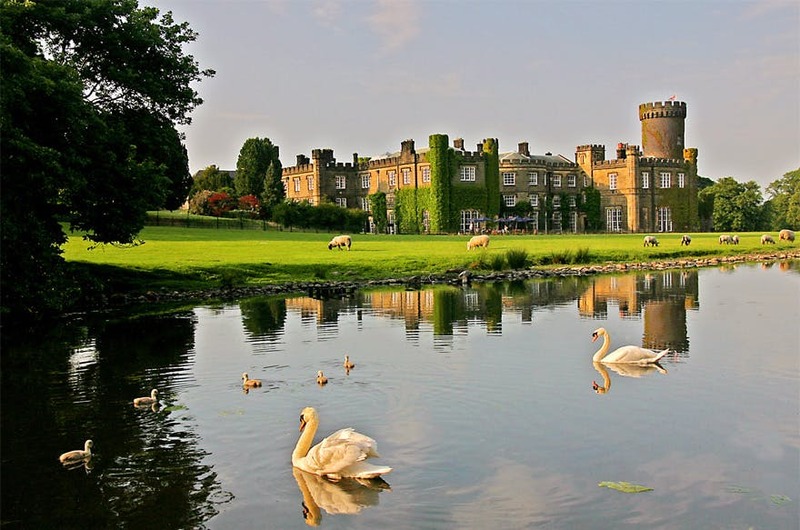 While it’s perfect for big, opulent weddings—you can take over the entire castle hotel (including all 32 bedrooms) with an Exclusive Use offer, with which they can cater for up to 250 guests (with a marquee)—intimate weddings at Swinton Park are also a thing of beauty. A private island sits on one of the lakes and includes a Georgian summerhouse that’s “ideally suited to an alfresco picnic or barbecue, in total privacy, surrounded by woodland and birdsong” and a Druid’s Temple sits in a nearby woodland, perfect for a wedding ceremony with “large stones (that) make up an altar, with an awning, hay bale seating, and wild flowers on shepherd hooks to set the scene”. Swinton Park makes up part of the stunning Swinton Estate, which stretches across 20,000 acres and features not just a castle hotel but also a country club and spa, a cookery school, and a “Swinton Bivouac Experience” that includes luxury glamping in meadow yurts and authentic, hand-built tree lodges. Hartsfield Manor is a 19th century Victorian stately home in Betchworth, Surrey. Not only is it a dramatic, impressive manor house with a sweeping staircase, but it also features 16 acres of beautiful, private Surrey countryside, an oak-lined driveway, and a gorgeous rose garden. For an intimate wedding there’s room for up to 40 guests in the Brokham Suite, but for larger parties there’s the lovely Terrace Restaurant. Soughton Hall Hotel is an idyllic, exclusive use wedding venue set in ten acres of land in Flintshire, North Wales, that offers more than just a gorgeous backdrop for your wedding. Soughton Hall Hotel’s historic, vine-clad building (a stunning Georgian country house that’s been lovingly restored) is over three hundred years old and was once a bishop’s palace. It sits at the end of “a sweeping lime avenue driveway” and is surrounded by landscaped gardens that look breathtaking in any season. 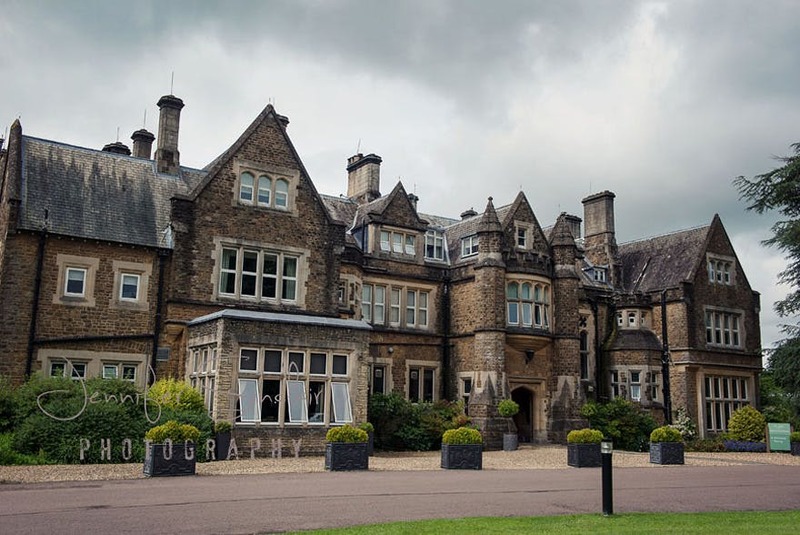 Soughton Hall offers a number of beautiful locations for your wedding day, including the Dining Room and the Drawing Room (which feature impressive, double height ceilings), a Secret Garden shaded by eucalyptus trees, and a Marquee at the end of a glass walkway (that accommodates up to 200 guests). Furthermore, Soughton Hall offers an impressive selection of vintage wines that includes South African vintages that aren’t available anywhere else in the UK. 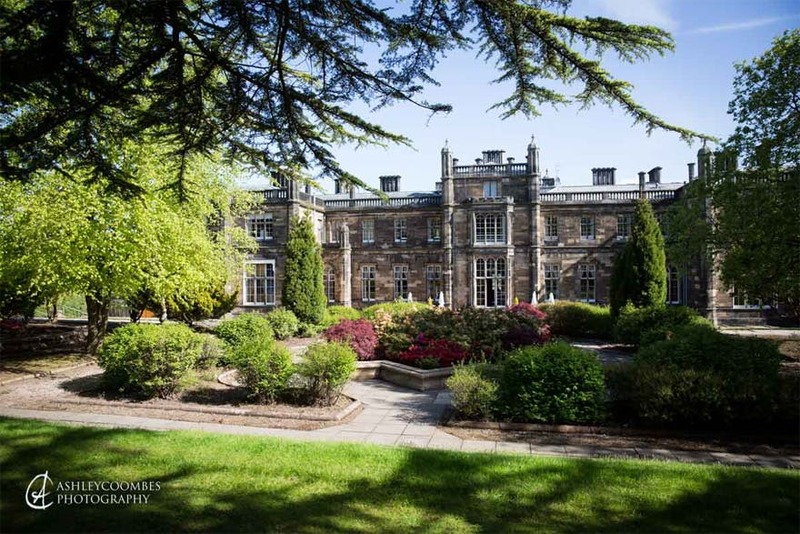 Mar Hall Golf and Spa Resort is a luxury venue in Renfrewshire, Scotland, and one of the most highly sought-after wedding venues. This opulent venue offers individually designed rooms “with original features, ornate ceilings, exquisite chandeliers and a vast amount of natural daylight”, 53 luxury bedrooms, a Honeymoon Suite, and banqueting suites that can cater for intimate or lavish celebrations. These include the Kilpatrick suite for up to 40 guests, complete with original oak paneling and an antique gold chandelier, and the Burgundy suite with its huge windows, decorated ceiling, and access to the gardens and balcony. There’s also a breathtaking Garden Pavilion (for up to 350 guests) with a star-lit ceiling, crystal chandeliers, and stunning views over the river Clyde and Kilpatrick Hills through floor-to-ceiling windows. 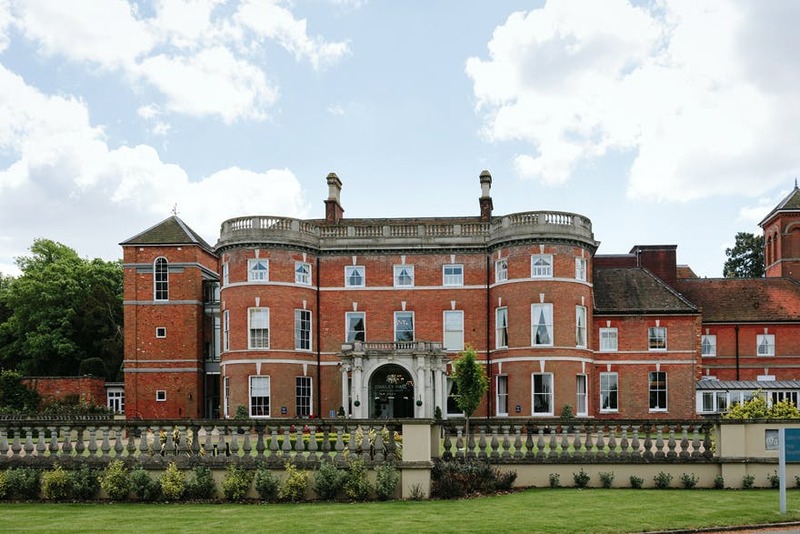 Oakley Hall Park and Hotel is a grand wedding venue in Basingstoke, North Hampshire that’s surrounded by 315 acres of gardens and features a gorgeous red-brick building with stunning views over the grounds. There are 6 luxurious rooms to choose from for your wedding celebration, the largest of which can hold up to 140 guests, and there’s also a pretty garden cottage that’s perfect as a private hideaway for the happy couple. Furthermore, brand new for 2018, Oakley Hall offers a Garden Pavilion featuring a “high tech lighting system, star-lit ceiling, and colour changing uplights”. 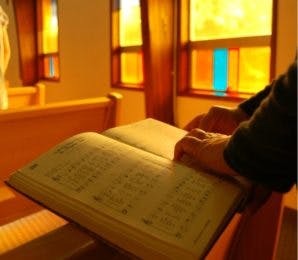 The pavillion can accommodate up to 380 guests and includes a patio, heating, and air conditioning. 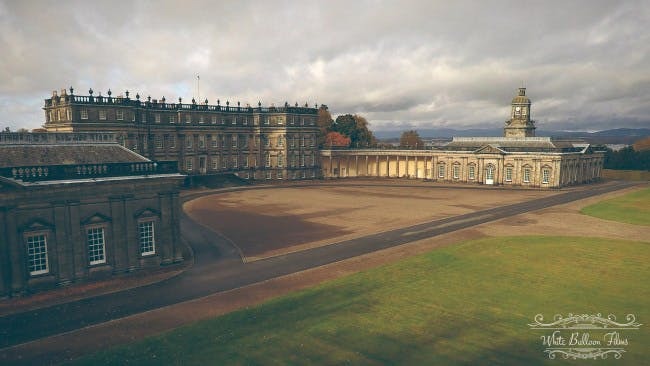 Hopetoun House is a grand Scottish wedding venue in West Lothian, near Edinburgh, and is one of the most elegant, exclusive venues in the UK. Hopetoun’s State Apartments and Tapestry Rooms are perfect for smaller, more intimate celebrations while the Adam Stables can accommodate ceremonies of up to 160 guests and the Adam Ballroom is perfect for evening receptions of up to 250 guests. 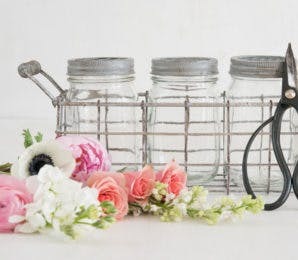 The estate, which spans 6,500 acres, is also home to lovely cottages for the bridal party or for the happy couple’s first night of married bliss. And that’s our list! But there are simply too many beautiful stately home wedding venues to list them all here, so check out our directory for an even fuller list—you just need to see them for yourself! For more stunning wedding venues, make sure you check out our pick of the most beautiful barn wedding venues in the UK.